Over 1,000 American online shoppers were polled. Here are the results! Starting at the top, 24% of the people identify themselves as “frequent online shoppers” who purchase at least 1 item online per week. 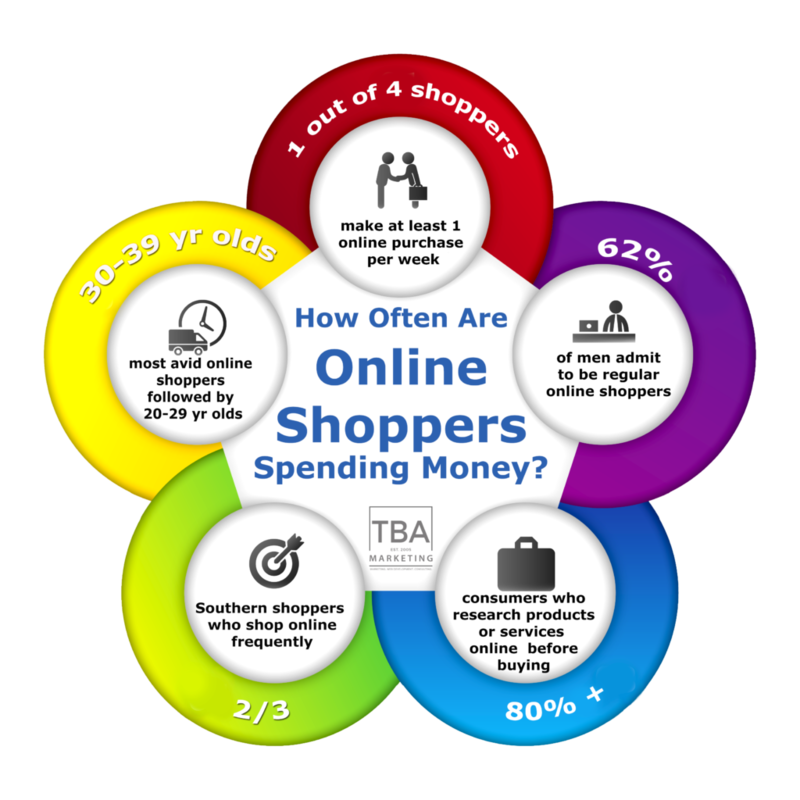 36% say they are “occasional shoppers” who shop online at least once a month; 40% are “infrequent shoppers” but make at least one online purchase a year. 80% of consumers stated that they research the products or services online before buying. Surprisingly men were more likely to be frequent online shoppers, over women, with 30% of them shopping online at least once a week. (vs. 18% of women). 62% of men said they were regular online shoppers. The 30-39 year old age group were the most frequent online shoppers, closely followed by millennials (18-29-years of age). Seniors (65 years and older) are the least likely to be active online shoppers. 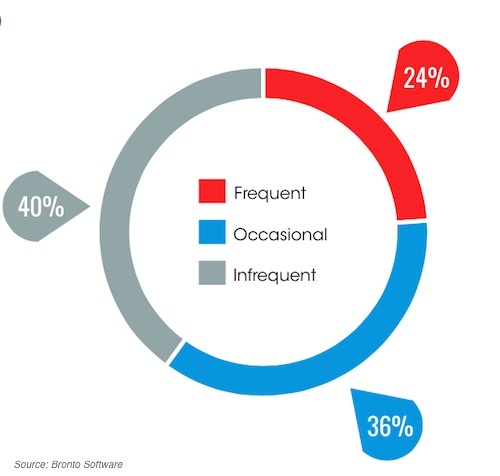 However, 42% say on average, they make at least one purchase online per month. Convenience – The overall ease of finding a product and the minimized time spent on shopping creates a less tedious overall shopping experience. Online shopping allows consumers to shop at the convenience of their own home, and to save time from having to travel to retail stores. 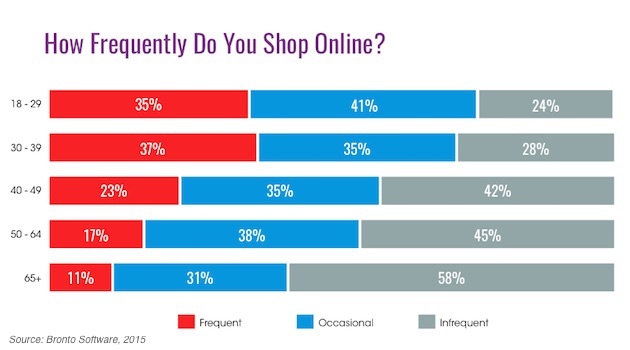 Consumers have no true time limitation when online shopping. No need for vendors and no pressure to buy: Consumers can browse freely online, instead of asking for assistance. Consumers have no pressure to buy from the vendors and can spend more time to make wise purchase decisions. These are among a few of the many reasons that online shopping has become the wave of the future. If you have an online store, being sure that it is mobile responsive to fit nicely on any device, search engine optimized by product, and easy to navigate will help you turn sales and profits on a daily basis. With a proper marketing strategy backing your well designed site, you can easily be making money in your sleep. If you need any assistance with your web design, marketing strategy, and any issues in between, please do not hesitate to contact TBA Marketing. About this research: Original data is from a 2015 survey conducted of 1,012 consumers in the United States who made an online purchase within the previous 12 months. Nearly 1/4 of online shoppers say they make a Web purchase at least once a week, according to a recent report from Bronto Software.